My Creative Time: Tag it Tuesday! MCT 32nd Edition Release Blog Hop! Made In Minutes & a Guest Designer! Okay, now here are some REAL BEAUTIFUL tags here for you from my AWESOME design team! Don't forget to click on each name to visit each blog & leave them some BLOGGY LOVE! Good Morning Miss Emma well girl your tag is really cute.....so was your trial and tribulations creative story after all there are no mistakes in tags, cards or LO's just a detour in the design details (LOL) hmmmm how do I know this? (LOL) I really love the hat on the circle first thing that came to mind was the graduation cap on top of the world that's what the circle meant to me so go figure love everything about your tag and interesting sneaky peek......your tag is very cool and lots of way shared of how to use your goodies you are always so clever and super creative!! I LOVE your tag Emma! 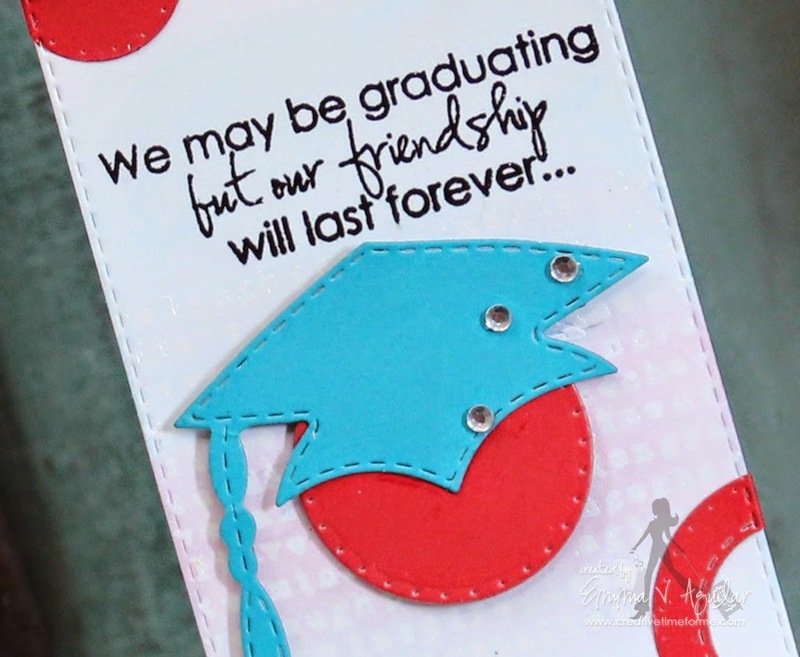 The colors are so pretty, the embossed sentiment looks GREAT and I LOVE the design!!! Fab design Emma...can't wait to get my paws on those circles!!! Super fun tag Emma! I love those circles!!! Oh Emma ~ I think your tag turned out PERFECT! I LOVE the heat embossing with the water color paints!! Oh my you know how much I LOVE circles ~ EEK! That is why I have them on my blog so I am in L.O.V.E.!!!! Again ~ AWESOME creations from the design team! WOW! wow emma, I love your tag!!!! I JUST made a tag yesterday for my daughter's party centerpiece! Awesome timing! I made my grad hat out of black glitter paper...perfection! I love your dies! :) LOVE all the DT creations! 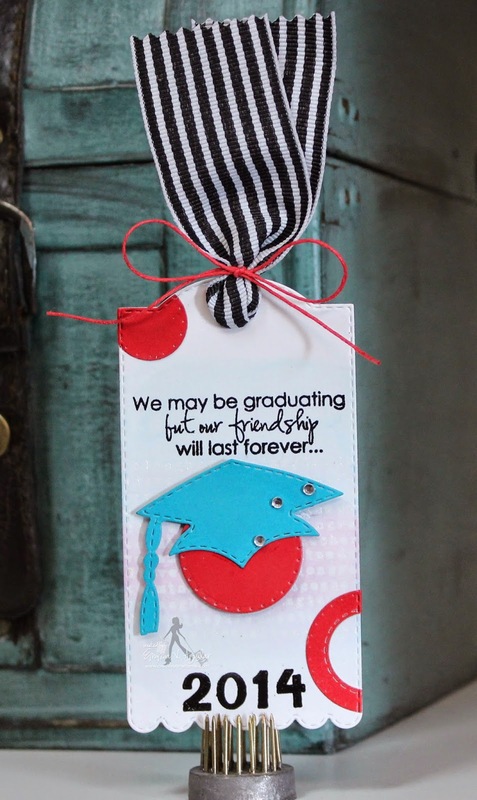 What a super bunch of cute graduation tags. Fabulous job everyone. I love this fun tag Emma!